Amazing views, close to the beach, modern accommodation and a great position... what more could you ask for! 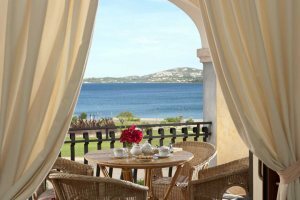 Residenza Riva Azzurra boasts a fantastic position in the resort of Cannigione, only a stone’s throw away from a beautiful sandy beach, and affords spectacular views across the Gulf of Arzachena to the striking Costa Smeralda beyond. 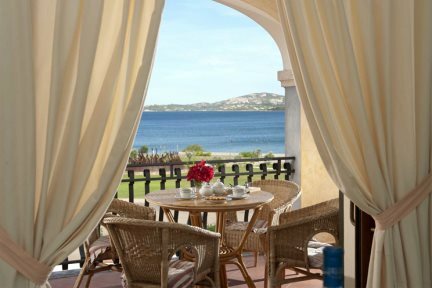 The complex consists of 29 modern apartments, all comfortably furnished and beautifully arranged in a typical Sardinian style. Equipped to a good standard and air-conditioned throughout, they are the perfect choice for families or couples seeking convenience, as well as a good value for money holiday in the north east of the island. There are two shared pools on-site along with a restaurant, pizzeria and snack bar. For a wider choice of amenities, an excellent array of bars, ice-cream parlours and market stalls can be found clustered around the bustling marina; while for the more active, there are plenty of water sports to try out on the beach. Cannigione is popular for its vibrant atmosphere and attracts many visitors in the summer, not only for its beaches and startlingly clear water, but also for its entertainment and various festivals taking place throughout the peak season. For those who wish to venture further afield, try one of the many boat excursions which take you to the magnificent archipelago of La Maddalena, or take your hire car and discover this extraordinarily rich island at your own pace. Living/dining room, kitchenette, double or twin bedrooms, en-suite facilities, balcony or terrace. 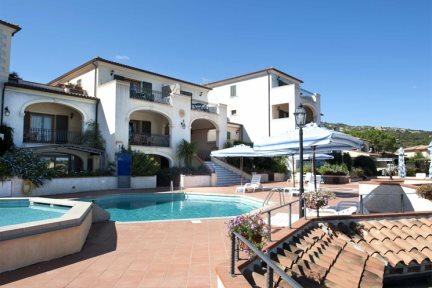 Two small shared swimming pools, restaurant, pizzeria, snack bar, gas hob, microwave, fridge freezer, safe, television, telephone, Wi-Fi, air-conditioning. Two bedroom apartment with one double bedroom and a twin bedroom, living room with sofa-bed, including satellite tv, telephone, air conditioning, safety deposit box, hairdryer, terrace or balcony. Two Bedroom apartments are located on the first or ground floor and not all apartments have a full sea view. Studio apartments with double bed and possibility of extra sofa bed, kitchenette, en-suite bathroom and small terrace. Equipments include satellite television, telephone, air-conditioning, safety deposit box, hairdryer. Studios are located at swimming pool level. Studio apartments with sea view. 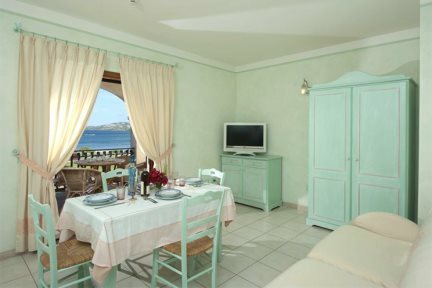 Double bed and possibility of extra sofa-bed, kitchenette, en-suite bathroom and small terrace or balcony with sea views. Equipments include satellite television, telephone, air-conditioning, safety deposit box, hairdryer. Studios are located at swimming pool level. 1 bedroom apartment with double or twin beds, living room with sofa bed. Equipments include satellite television, telephone, air-conditioning, safety deposit box, hairdryer and terrace or balcony with sea views. 1 bedroom apartments are located on the first or second floor. 1 bedroom apartment with double or twin beds, living room with double sofa bed and extra single sofa bed. Equipments include satellite television, telephone, air-conditioning, safety deposit box, hairdryer and Terrace or balcony with sea views. 1 bedroom apartments are located on the first or second floor.